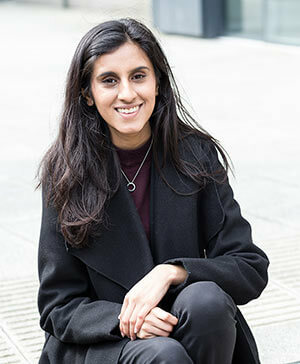 20 year-old Hana Kapadia, who studied at the University of Law in Bristol, was awarded a prize of £5,000 towards her studies and a sought-after week long work placement at one of our partner law firms. The experience gave Hana an opportunity to consider which path she wants her legal career to take and provided her with valuable advice and insight into an extremely competitive industry. “Future Legal Mind is a fantastic opportunity for law students to think about complex legal concepts and where the legal profession may be heading, so I would absolutely recommend law students looking to enter the award to go for it,” Hana said. My week at NewLaw was incredibly varied and brought together what I had learnt on the Graduate Diploma in Law and what I am currently learning on the Legal Practice Course. It was excellent to be given lots of opportunities throughout the various departments to really apply my skills and what I had been taught, to real cases. During the placement, Hana benefitted from working with several different departments at NewLaw, such as serious injury and clinical negligence. The experience was fantastic, and something I greatly appreciate National Accident Helpline and NewLaw Solicitors setting up. It was well-structured, the team at NewLaw were incredibly friendly, and they ensured that I was able to work on varied tasks as much as I could, throughout my week there. The Future Legal Mind Award is open to undergraduate law students studying in the UK. The winner is decided by our panel of judges and the winner receives a financial contribution to their studies and a work placement at one of our partner law firms.